I think at Christmas time even the muffins should taste christmassy! 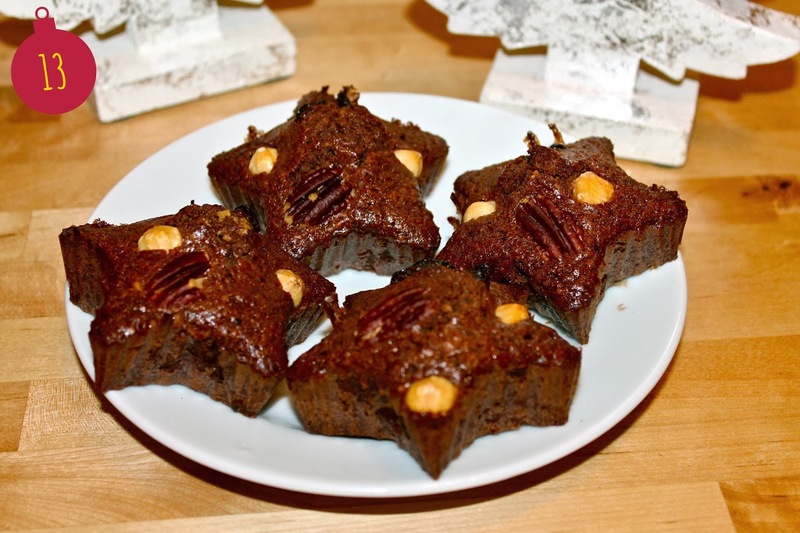 Therefore I'm going to show you an easy and delicious Christmas muffins recipe with nuts and gingerbread spices. Yummy! Stir the butter with the raw cane sugar, the maple syrup, the salt and the gingerbread spice. Gradually mix in the eggs. Mix the flour with the cocoa powder, the baking powder and the the hazelnuts and stir this mixture in turns with the milk into the butter-sugar-syrup-egg-mixture. Put the batter into your baking forms and bake the muffins at 175°C.